Dalkurd FF goalkeeper Frank Pettersson was supposed to be aboard the Germanwings flight that crashed in the French Alps Tuesday — but his team decided to board different planes at the last minute. A Swedish soccer team would have been aboard the ill-fated Germanwings flight that crashed in the French Alps Tuesday — had they not changed their minds at the last minute. Players on Dalkurd FF from Borlänge, Sweden, had booked tickets on Flight 4U 9525 from Barcelona but decided the layover in Duesseldorf would have been too long. So the soccer team split up and took three other planes home with layovers. During layovers in Zurich and Munich, the three groups found out the plane they almost boarded crashed in an isolated mountain range of southeastern France — killing all 150 passengers, including 16 schoolchildren. The soccer club gave its players people they can call or meet with if they need someone to talk to, he said. Dalkurd FF’s athletes know they were very lucky to have changed their flights. 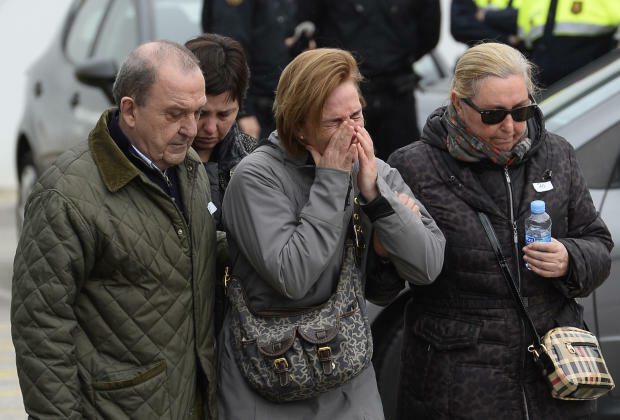 Their thoughts are with Germanwings customers and employees who were not so lucky. Dalkurd FF is a soccer club for Sweden’s Kurdish community. It has fans from the Kurdish diaspora across the globe. News of the close call quickly spread throughout the world of European soccer. Oliver Ekroth, a defender for Västerås SK in Sweden, says it was highly unsettling to think about the close call. Västerås SK and Dalkurd FF compete in the same soccer league: Division 1 Norra, the country’s third highest. Ekroth also expressed deep sympathy for the families who lost their loved ones. German soccer star Basti Schweinsteiger, who plays midfield for FC Bayern Munich and the German national team, said his thoughts are with the passengers and crew members aboard the doomed flight, as well as their families.